Why Does the IRS Have 3,000 Handguns and 3,000,000 Rounds of Ammo? The “criminal investigation” division of the IRS has a lot of firepower, and what is stated in the headline of this article is only the tip of the iceberg. 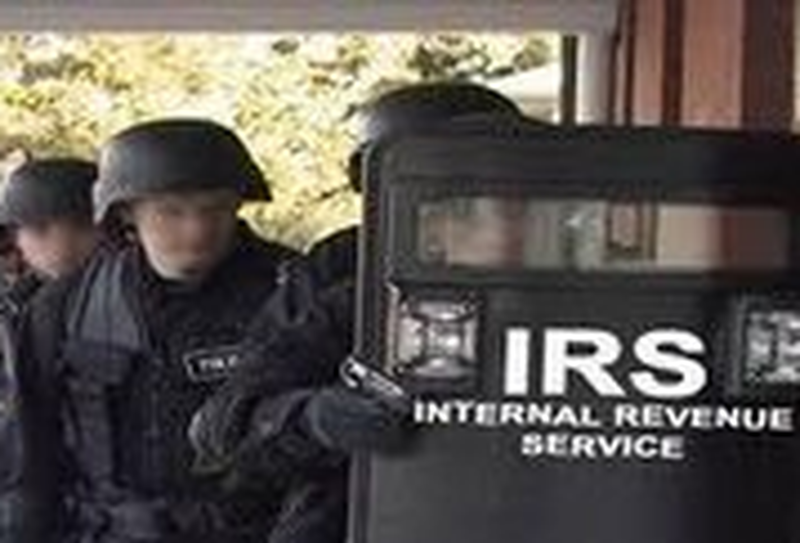 Breitbart reported that the Government Accounting Office (GAO) issued a report called “Federal Law Enforcement Purchases and Inventory Controls of Firearms, Ammunition, and Tactical Equipment.” And the IRS CI is not alone. So they can track their firearms and the equipment that goes with them. Great. But some of the agencies are significantly militarized and that’s chilling. The NIH is National Institutes of Health …that one makes you wonder if they’ve gone from healing and health to something else. America, we have awakened to a time in history when our government is fully armed. We are fully aware that there are factions in our country that are extreme and dangerous- from Islamists to domestic wackos. But we saw under three previous administrations where sometimes the intent is not benevolent towards ordinary citizens. From Ruby Ridge to Waco to the Bundy Ranch, and the death of Lavoy Finnicum in Oregon, the Federal government has at times gone off the rails. For some federal agents involved, it was horrifying…for others it was not.